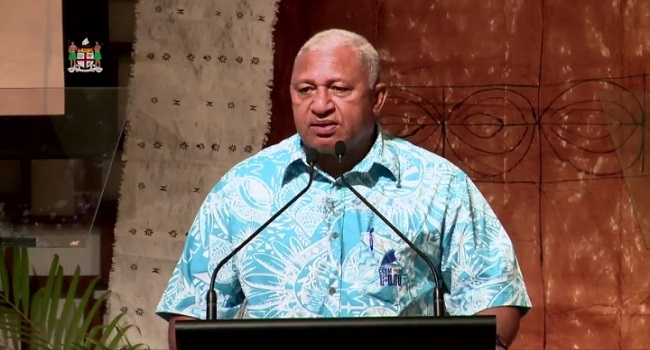 Prime Minister Voreqe Bainimarama has stated that government must place sustainability at the core of their decision-making in every level. Speaking at the Commonwealth Ministers Meeting in Nadi- Bainimarama says given the new age of climate uncertainty, sustainability and resilience should be a priority. In highlighting our education sector, Bainimarama says education is the key to sustainable development because it equips people with skills needed. Bainimarama adds sustainable development will be possible without decisive action on climate change and decisive action to reverse the degradation of our oceans.